Welcome To Ray White Mackay City in the ‘City Heart’! Real estate is no different from hospitality, or any other business, in that customer service involves understanding someone’s needs and providing solutions to those needs. 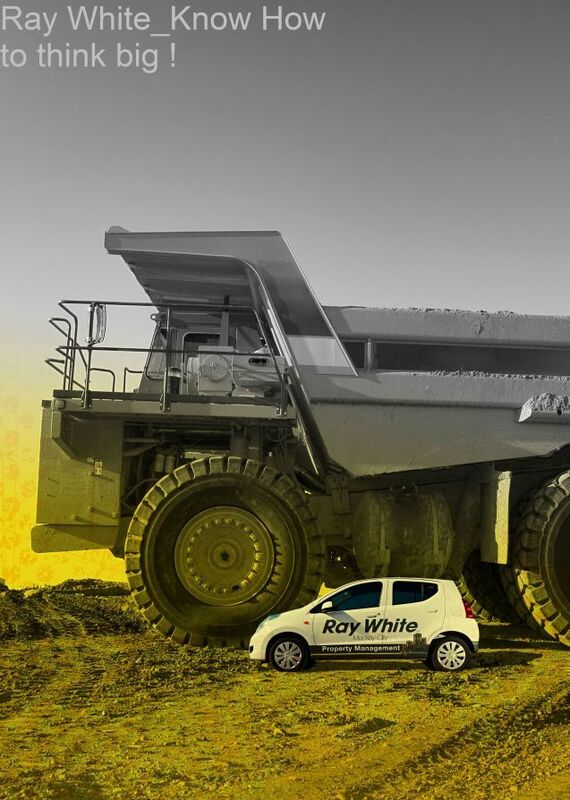 In challenging times the strength of a strong brand like Ray White really shines through. According to Ray White Mackay City Owner Chris Laval, the branding of Ray White is a significant advantage in the current climate. When vendors list a property with Ray White Mackay City, the majority of their meeting is spent talking about the marketing. It can take two hours or more just to prepare the marketing before going to auction because marketing is the critical element. The need to be marketing “savvy” when selling properties is especially important in challenging times. You have to be sure you are getting value for money. Ray White Mackay City has confidence in the effectiveness of their marketing because they do their homework. We leverage economic and buying cycles to ensure the highest possible price is achieved for your property. That begins with working out where the buyer is coming from. The buyer could be an investor, first home owner, renovator, retiree, or growing family. By identifying who the buyer is at the beginning of the process, the marketing campaign can be more targeted. Any service-based business is only as good as its people so Ray White Mackay City places a strong emphasis on developing the right team. Every member of the team at Ray White Mackay City have a common attribute and that is passion for what they do. Each person has a genuine interest in the real estate market and helping people achieve their goals or to move on to newer and better opportunities. “Our sales team are trained to understand the emotional side of what is happening and that’s where an experienced team can be invaluable.” And our team meets daily to discuss the progress on your sale. We leave no stone unturned. We focus on detail, which is what made us the ‘Sales Team of the Year’ within the Ray White Real Estate Group for Queensland. Ray White has been around since 1902. We know how it works. Principles: We’ve been operating in Mackay and the surrounding suburbs for over 30 years . We know the market trends. We are in constant dialogue with active and previous buyers. But above all, we’re here. And we’re local. The busy City Heart offers plenty of opportunities and our focus is on bringing more people to your home. The Ray White Group is one of the most widely recognised and respected names in Australian residential real estate. For more than 100 years, this family-owned company has been a trusted partner in property. Over 800 individual offices are spread across Australia, New Zealand and Indonesia. Together they help around 220,000 home owners and purchasers successfully buy and sell property every year. – Annual sales turnover of over $20 billion. That’s around $54,000,000 worth of property every day. – With one of Australia’s most frequently visited real estate websites, with over 45,000 listed properties and 78,000 hits daily individual property viewings. Ray White is the most ‘Google’ searched Real Estate name in Australia.